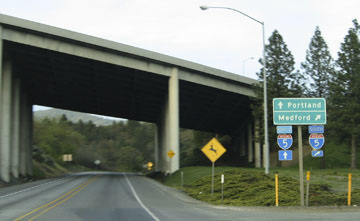 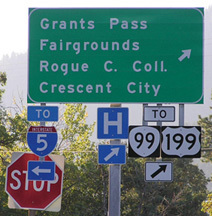 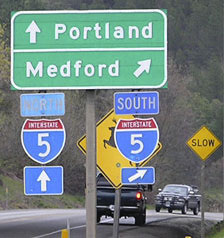 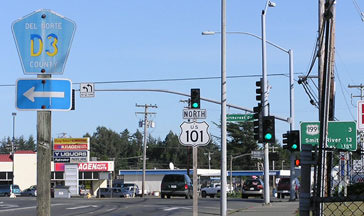 Today US 101 continues straight ahead, and as the green sign in the distance attests, the modern junction with US 199 is three miles ahead. 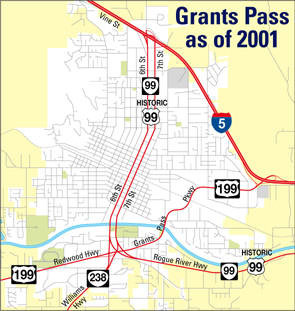 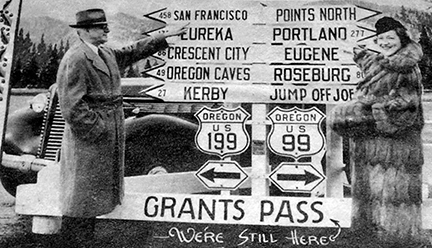 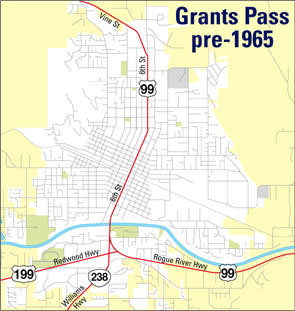 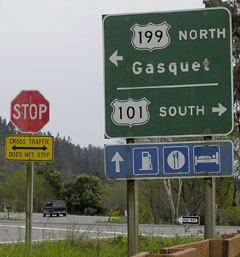 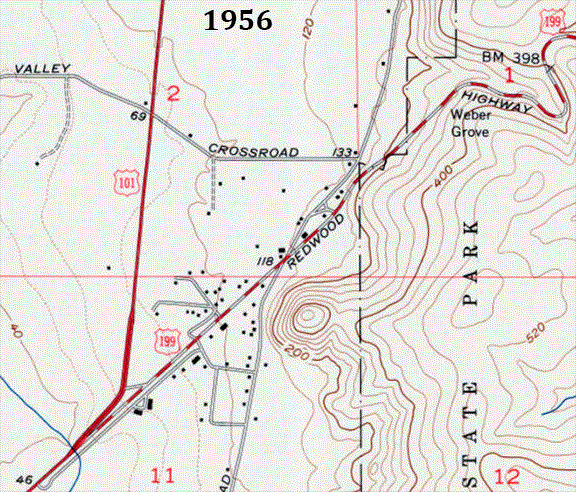 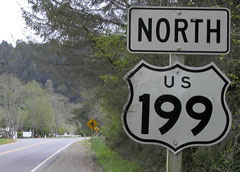 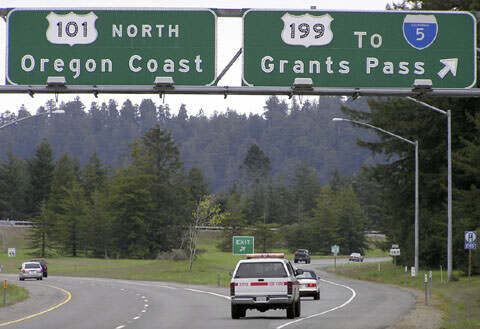 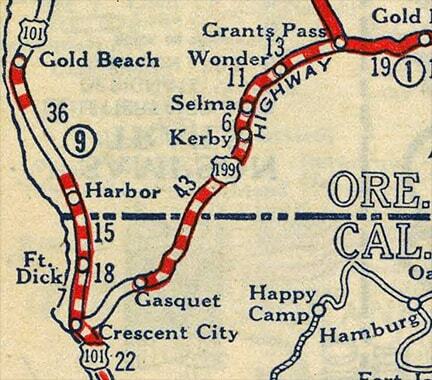 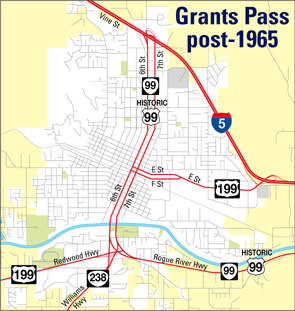 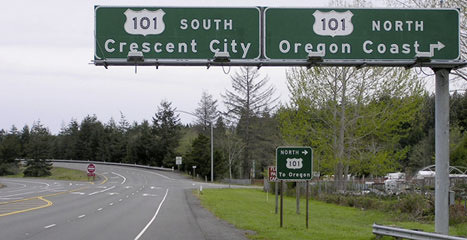 But originally US 101 went left there on Northcrest, and straight ahead was the south beginning of US 199. 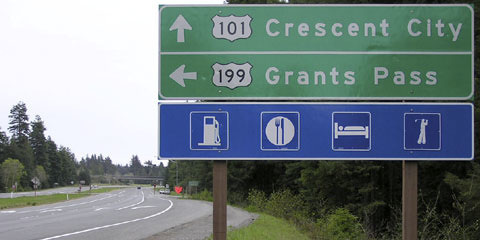 It is unclear why only one of those panels was replaced, and it is unfortunate that old button copy is no longer with us. 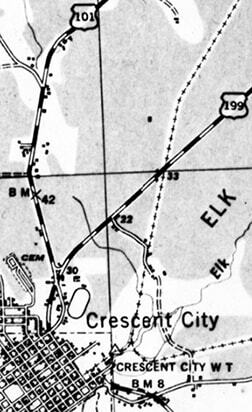 last updated Sep. 21, 2016.